First Government sponsored self-injecting drugs centre due to open soon. Health professionals to assist or guide in use of banned narcotics. The State could soon be assisting people to consume cocaine and other banned drugs purchased from illegal street dealers. Plans for the creation of self-injecting facilities are contained in a Cabinet supported Bill currently being piloted through the Dail. Under the proposed legislation, addicts and others will be able to buy banned substances from illegal drug pushers without fear of prosecution for consumption in centres to be licensed and staffed by the State. Health professionals will be on hand to assist or guide addicts in the use of the narcotics. Gardai will have little or no power to arrest those found in possession of the proscribed substances in licensed facilities. Critics have questioned the ethics of the plans. It is also felt that the controversial legislation would amount to the State effectively aiding the illicit drug traffic. Already, there is pressure to have injecting facilities extended to every town and village in the country. Many fear this could lead to an uncontrollable explosion of drug consumption among the young, not least children of school-going age. There has been no consultation with parents countrywide on the Bill, it’s believed. The people generally have apparently been sidelined, with also no information released as to the potential financial cost of the self-injecting project. The annual outlay for the project could ultimately run into millions of euros. Efforts by a few TDs to have the workings of the proposed measures reviewed a couple of years after the enactment of the legislation have been shot down. 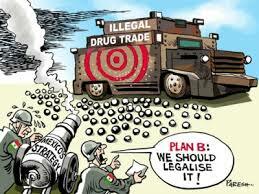 The illicit drugs market has been valued at upwards of €700 million. It is not known exactly how many have died of drugs or the scale of murders or injury committed by those high on narcotics. Estimates indicate that there are currently more than 35,000 opiate users in Ireland. Following the implementation of the legislation , a pilot injecting centre is due to be opened in Dublin city centre later in the year. The locations of other facilities have not yet been decided. Fianna Fail, Sinn Fein and other political parties are understood to have indicated their support for the legislation. But is this a development about which the people should be troubled? Should parents in particular be apprehensive? Are there dangers the public need to be aware of? 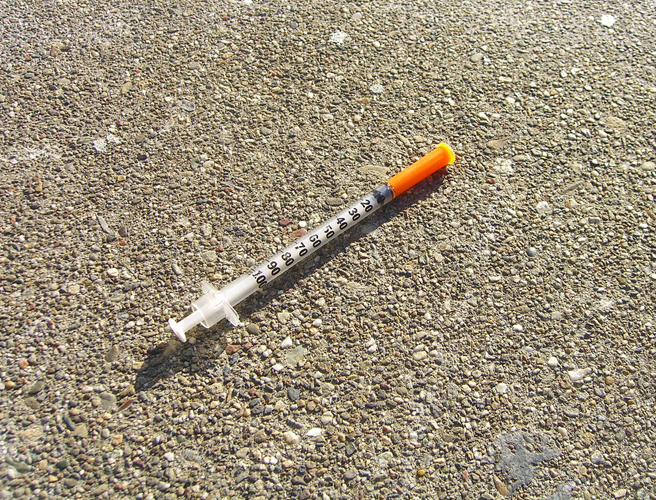 In the following NewsTalk 106-108 report, Marie Byrne – founder of the Aisling Group International, an help and information charity concerned with the negative effects from drugs and alcohol abuse- calls attention to what she says injecting rooms in other jurisdictions have led to. It’s alarming. The failure of injecting rooms run by the State of New South Wales in Sydney Australia is well recorded and can serve as a warning to Ireland where the suggestion to follow suit is now being pushed on the Irish people. But who will listen? Working internationally and in Australia, sometimes with the Australian Government, has given me lots of opportunity to see what can work in decreasing drug use in a society. When it came to injecting rooms, what was made very clear was that addicts did not gain back control of their lives, according to a national Australian Government report.The experience in Sydney showed that those presenting at injecting rooms brought their own heroin to inject under medical supervision. The result – police, knowing that addicts were carrying illegal substances, were required to make a personal decision to allow them enter the building without arrest or not. The outcome – heroin became legal on the street and created pockets of corruption in the police who now held such power over those people who were using. Upon entry to the rooms, addicts very often inject larger amounts of heroin to get stronger effects. Knowing someone medical is on hand in case of an overdose creates a comfort zone for their drug use. After injecting they leave through the back door where prostitution and drug sales were often rife – making the area more unsafe and reducing the areas property prices overall. The United Nations Convention on Narcotic Drugs bans the use of such injecting rooms -where they were known to be linked to the decriminalisation/legalisation of drugs which it does not support. The Irish Government has signed up to the UN Treaties – to open such rooms is flying in the face of that agreement. As it stands, Ireland is already being criticised for not complying with Article 33 of the UN Convention where young people are entitled to services that take them off all illicit or psychotropic substances – drug recovery services for young people here are few and far between. The old saying goes: ‘follow the money’, so it’s worth asking who is really benefiting from these rooms and the potential decriminalisation of drugs? 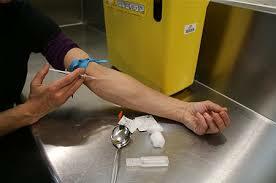 Addicts often don’t gain freedom from heroin by availing of injection rooms. Drugs are the second biggest trade in the world – linked with the arms trade – and unfortunately corruption feeds off the weak and powerless in this business. Leaving statistics and debates aside, parents in Ireland are struggling to prevent their children from using drugs with very little support. The over-prescription of drugs and a feeling of hopelessness leads to a feeling of helplessness. Ireland has one of the highest rates of drug use in Europe. Our lack of drug-free programmes to help people come off substances only worsens the problem. Over half of all suicides are drug- and alcohol-related. With only approximately 200 residential places, 40 detoxification units and a handful of day programmes, it’s simply not enough. Help is needed now not more drugs and ways of using them, according to Swedish drug expert Borje Dahl. Sweden, unlike Ireland, has one of the lowest rates of drug use. After a disastrous period following the decriminalisation of drugs, the Government has invested heavily in more drug-free programmes, policing and social care to deal with the issue. A report from as far back as 2002, compiled by well-known recovery programme in Ireland ‘The Addiction Spoke’, noted that abstinence-based programmes had a higher success rate, were more cost-effective than subsiding addicts on drugs and helped people gain back control of their lives. Using drugs and being facilitated to do so, regardless of the environment, can take away individuals’ and families’ opportunity to feel in control of their well-being. As communities fear for their future, Ireland needs to step up to the mark if it wants to reduce its human and financial costs. Preventing drug use, supporting recovery services and social networks is needed and possible. If there is no money for these programmes there most definitely should be no money for useless injecting rooms. Marie Byrne is founder of the Aisling Group International, an addiction Counselling National Charity based in Ireland.